IBM is shattering world tech records again, this time the company’s researchers have built the largest ever storage system setup. Coming in at 120-petbytes (120 million gigabytes), the ludicrous data storage rig is made up of 200,000 conventional hard drive disks set up at IBM’s Almaden, California, research lab. 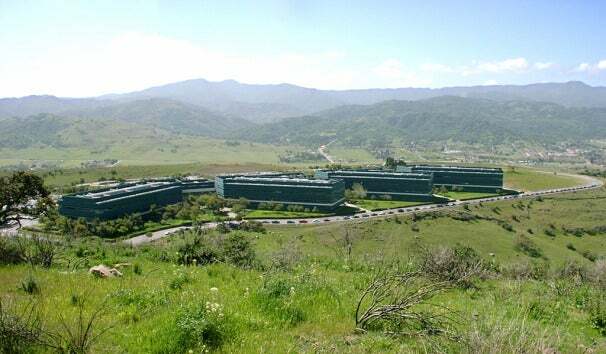 The massive data store was built for an unnamed client that needs a new supercomputer for detailed simulations of real-world phenomena. There aren’t any real specifics to what the system is actually doing, but according to Technology Review, it's rated to store around one trillion files, and it could house "powerful simulations of complex systems, like those used to model weather and climate." To manage such a ridiculous amount of storage space, IBM engineers had to find new hardware and software techniques to make it all work together. All the drives are placed in a fairly typical data center, except this one features wider racks that are all water-cooled. Of course drives inevitably die and when they do, the system slowly reproduces information from a flaky drive onto a replacement. To get an idea of how big 120 petabytes is, Apple's slogan for its original 5GB iPod was "1000 songs in your pocket", which equates to 200 MP3 files per gigabyte. Based on that metric, 120 petabytes can store around 24,000,000,000 songs. Try cramming that into your pocket. Be sure to check out Technology Review for the full story on IBM’s 120-petabyte cluster and interviews with the data store’s engineers.